Last weekend’s defeat to Yeovil Town was City’s second in the league this season – but for the first time it left supporters coming away questioning their new-look side. The Peterborough defeat, a fortnight earlier, had been attributed more to a weak refereeing display and the gamesmanship of their opponents, rather than anything being glaring absent from City’s own display. But Yeovil was an entirely different mood. The post mortem in the last seven days has been unnerving and of conflicting severity – depending on who you talk to. On the one hand, you have those supporters who say let’s not panic, that it’s only one defeat and that City will bounce back just like Phil Parkinson’s teams have done before. Whereas on the other hand, you have supporters who believe something more serious is afoot. The performances this season had so far been very good – but, for me, that was why last Saturday was so noticeable. It seemed to be more than just a group of players having a bad game. There was a distinct lack of drive and urgency on display. There was no willingness to try something to create a spark, and a haphazardness about certain individuals’ play. Gary Liddle attempting a bicycle kick clearance in the first five minutes being a good example. Only Parkinson and his team of players can explain why their display looked like it did last weekend, and only they can prove to us whether it was a one-off or whether there are more serious problems that need to be dealt with. It could simply be that the hectic start to the season had caught up with City’s small squad. However, this is somewhat of a weak argument given that Yeovil’s players will have had a similarly frantic start. Furthermore, five of City’s starting XI had just enjoyed their first free midweek of the new campaign, having been rested for the JPT trip to Oldham Athletic. They should have looked fresher for it, but as Parkinson observed post-match, these five rested players appeared to be the most rusty. Another possible explanation or contributing factor to City’s lacklustre display was the conditions. The pitch was extremely heavy and wet from the downpours of Friday night and Saturday morning. This meant that it was hardly conducive to the new passing style of play that Parkinson is trying to implement this season. It would go some way to explaining the slow build up play and lack of incisiveness that was on show, and it would clearly be a good reason for why, early doors, City resorted to the default long ball option of looking for James Hanson’s head. A tactic that was easily dealt with by Yeovil’s giant centre back, Aaron Martin. In contrast, Yeovil adapted to the conditions much better, as they had clearly arrived looking for a scrap. They were hard in the tackle and first to every ball, which pushed City onto the back foot from the onset. The contrasting approach of the two sides made the home side look sluggish, and it had led some supporters to suggest that there was a lack of effort and desire on show. Something that didn’t seem to happen in the team from the previous two years, as they always had a certain Gary Jones on the pitch to inspire everyone and ensure that they were always giving 100%. Last Saturday was the first time that we have seen the limitations of Parkinson’s new diamond midfield. The lack of a spark could have been rectified by introducing some pace and width into the side – but there weren’t any such options available on the bench. Last season Parkinson was often accused of having no plan B; it is to be hoped that this season won’t see a repeat of the same problem, despite the change to a different plan A. So, was last Saturday a one off? Were the players simply fatigued and did Yeovil adapt to the conditions better? Or are there deeper lying issues? Do we miss a Gary Jones type player to “gee” everybody along? And are we still lacking a plan B? Answers to these questions should hopefully become clearer after Saturday’s match against Swindon. There are, of course, other questions that City supporters are pondering over that are unlikely to be answered as soon as Saturday evening. Is Aaron Mclean past his best? Is he another poor signing? 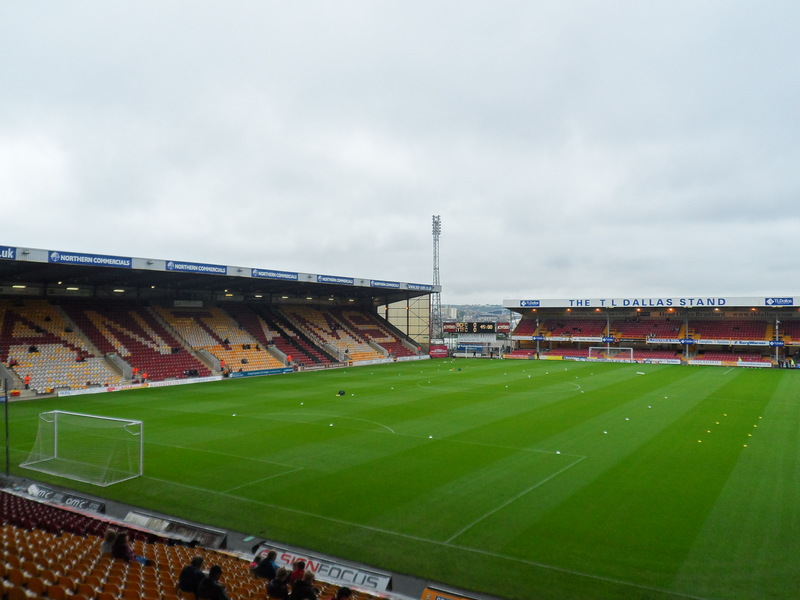 Can Stephen Darby rediscover his personal stellar form from last season, now that he is required to bring a greater attacking threat to the side? And is Jordan Pickford an upgrade on Jon Mclaughlin? Despite personally never having been McLaughlin’s biggest fan, I am conscious of the criticism that the Scot would be receiving currently had he conceded the goals from set pieces that Pickford has so far this season. It is likely to be a good way into the season before we can answer such questions with any real confidence. Swindon will be a real test of where we are likely to find ourselves this season. They arrive at Valley Parade sitting in 10th place in the fledgling League One table. They are two points behind the Bantams but with a game in hand – and have only lost once so far in the league this season. The Robins have a strong squad and will fancy their chances of making the play offs come May. They may have lost loan star Alex Pritchard from the squad that narrowly missed out on the top six last season, but wily manager Mark Cooper has again recruited well and they will have high hopes for their four young loanees – as well as former Spurs striker Jonathan Obika. City are likely to field an unchanged side with the whole squad having had a week’s rest. The only change could be Mclean in place of Mason Bennett, who was disappointing last week. Filipe Morais may recover in order to make the bench, but Matty Dolan is likely to be missing again. He pulled up in the warm up last weekend and has been sent for a scan having failed to recover sufficiently as the week progressed. A team’s season is never going to be defined by where they find themselves in the middle of September, but supporters are always eager to set their expectations early and – come Saturday evening – the team may have responded to some of the questions that they are currently being asked. Let’s just hope that we are happy with the answers.